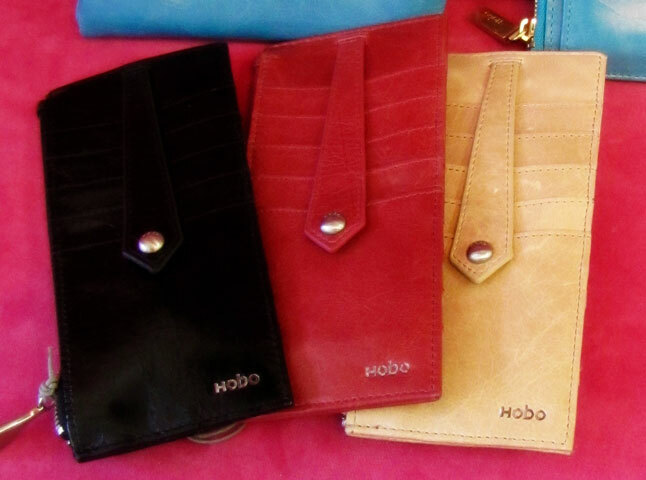 WHO doesn’t want HOBO bags, purses and wallets? We are lucky enough to carry the HOBO line. They are VERY particular with the boutiques to which they sell. Come in and see the amazing quality of these pieces. If you know HOBO, you know how well they’re made, how long they last, the attention to detail, and the quality. Come see what we’ve got in our ‘TOWER’ of HOBO bags and wallets for YOU! WOW, these bags say STYLE (in capital letters). They are made of metal and come in a variety of image/styles. But one of the things that makes them so amazing are the rhinestones that adorn the “kiss” clasp and the screws that hold the metal pieces together. Buy one of these bags ONLY if you’re not scared of being uber-fashionable. This is a line of the most incredible belts you’ve ever seen. They’re made in Argentina and the finish/patina on them is like nothing we’ve seen before. They’re lusterous and rich and they have just a “hint” of another color – like teal or rust…They’re just yummy! AND, if THAT’s not enough, their designs are incredible. They were smart enough to create well-designed and fashionable belts that have holes all the way around them so that you can wear them at your waist, your hip, or whever you’re comfortable. They ALWAYS fit because of those holes! THAT’s using your noggin when designing a belt! Visit us at 1302 Commercial St, Downtown Bellingham.